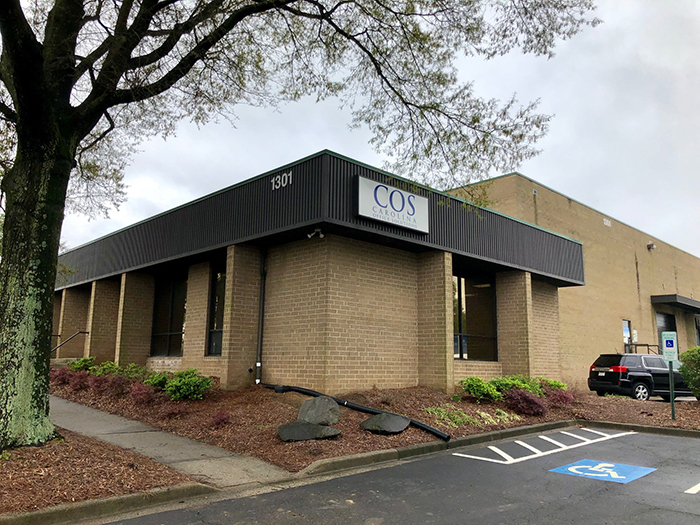 I’ve been on the hunt for the perfect office chair and after an exhaustive search, I finally found the best spot to buy an office chair in Charlotte — the massive Carolina Office Solutions. For the past few years, I’ve been using the well-loved $199 Markus office chair from IKEA. It’s a solid chair. But now that I’m in my mid-30s, my back is fragile, and I need an upgrade. I asked some office furniture nerds what chair to buy and almost all pointed me to the Herman Miller Aeron Chair. Which made sense until I looked at the price — which starts at a whopping $1,255. 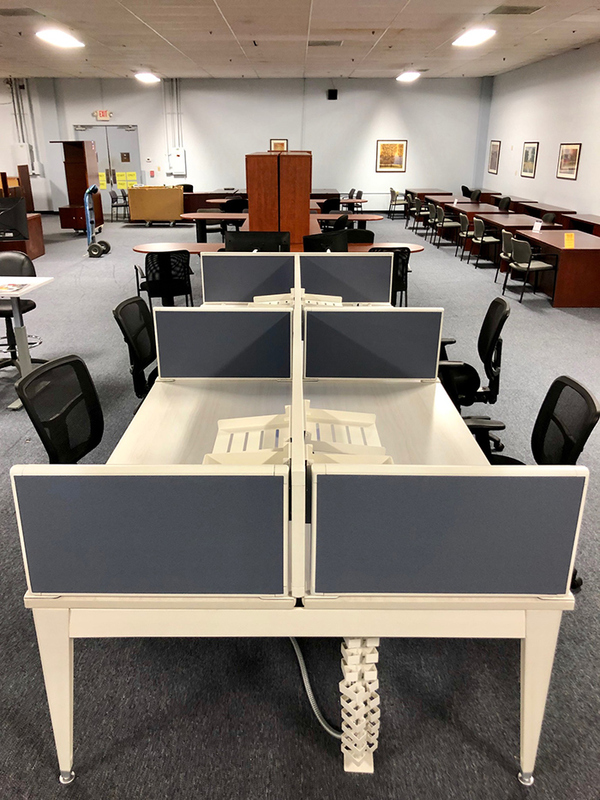 I went down a rabbit hole in search of discount Aeron Chairs and eventually ended up on the Carolina Office Solutions website, which is relatively horrific website that’s super lead generation oriented. So I ignored my millennial instincts to not interface with a human and called their phone number. 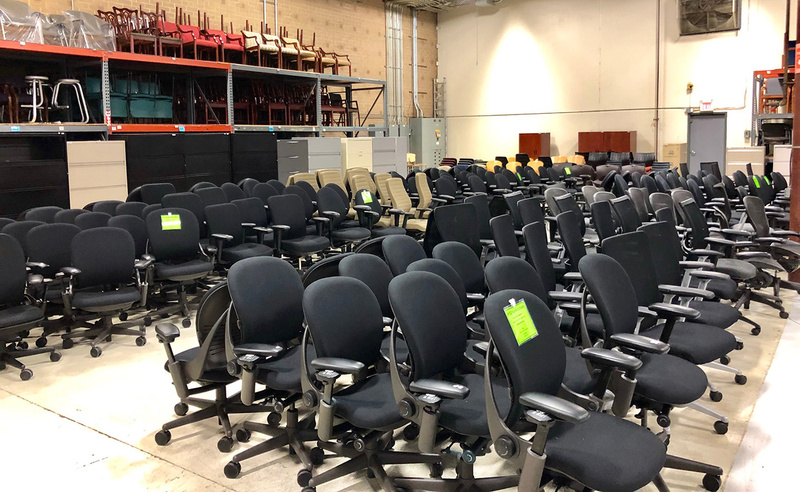 I drove to Carolina Office Solutions, a boring looking warehouse, and what I found was office chair heaven — big chairs, little chairs, used chairs, new chairs, fancy chairs, cheap chairs, leather chairs, cloth chairs, task chairs and lobby chairs. 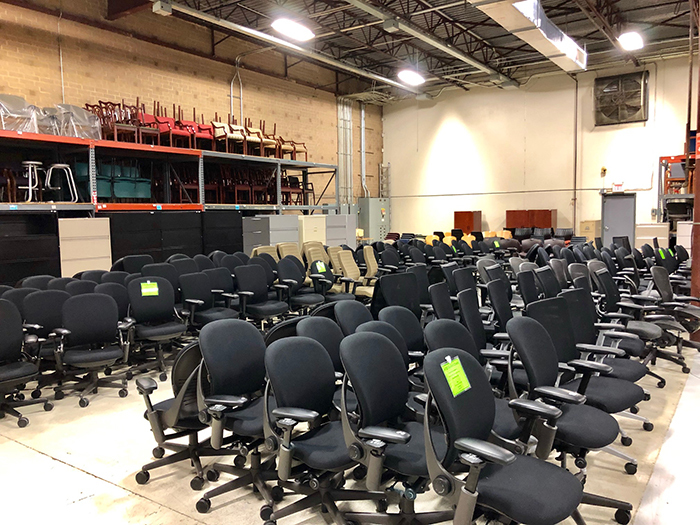 Hundreds, if not thousands of chairs. So many chairs. 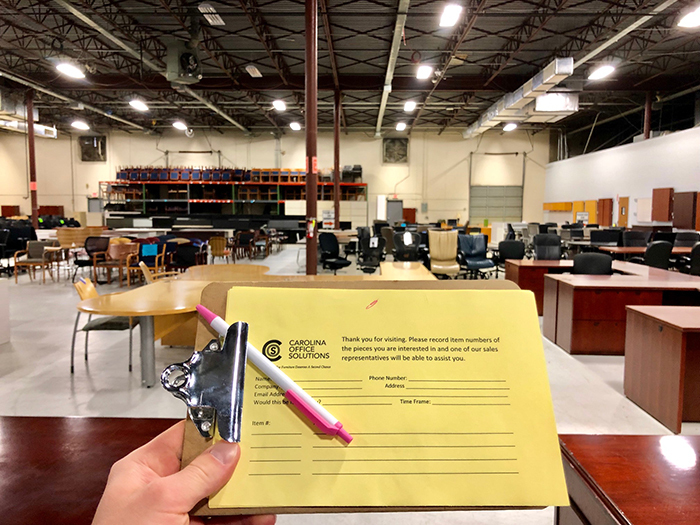 How it works: When you enter Carolina Office Solutions, the receptionist will greet you, give you a clipboard and lead you to the showroom floor. 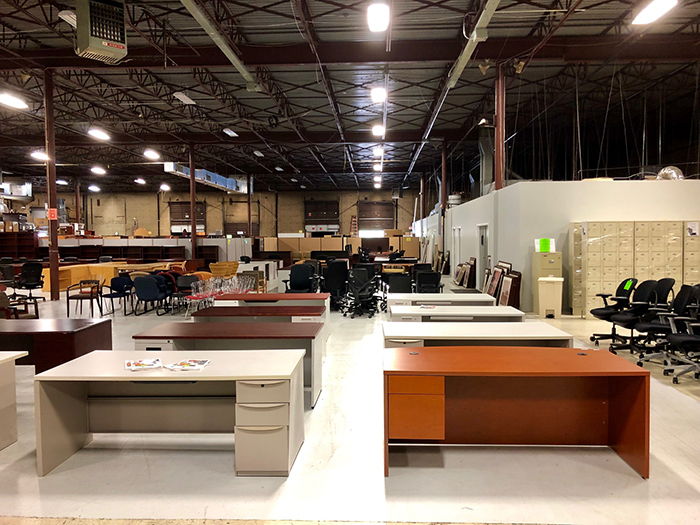 Clearly they make their money off of big office furniture deals as I was the only person walking the showroom floor that morning. 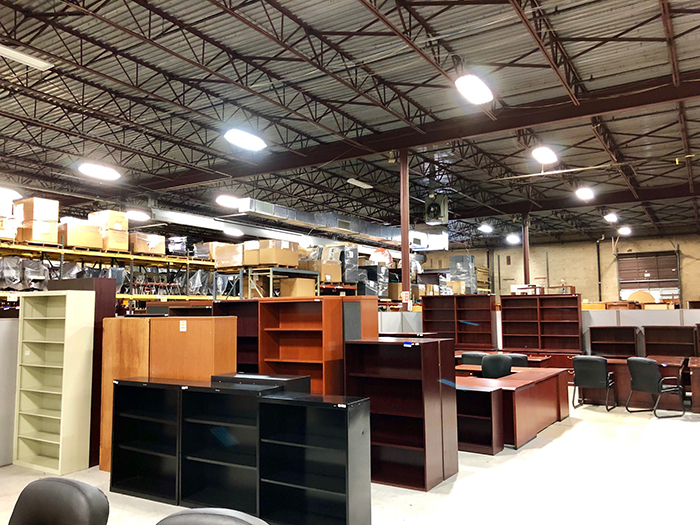 Showroom: Their Westinghouse warehouse is 50,000 square feet, and it’s filled with used chairs, desks, cubicles, credenzas, conference room tables and file cabinets. It’s a little spooky. 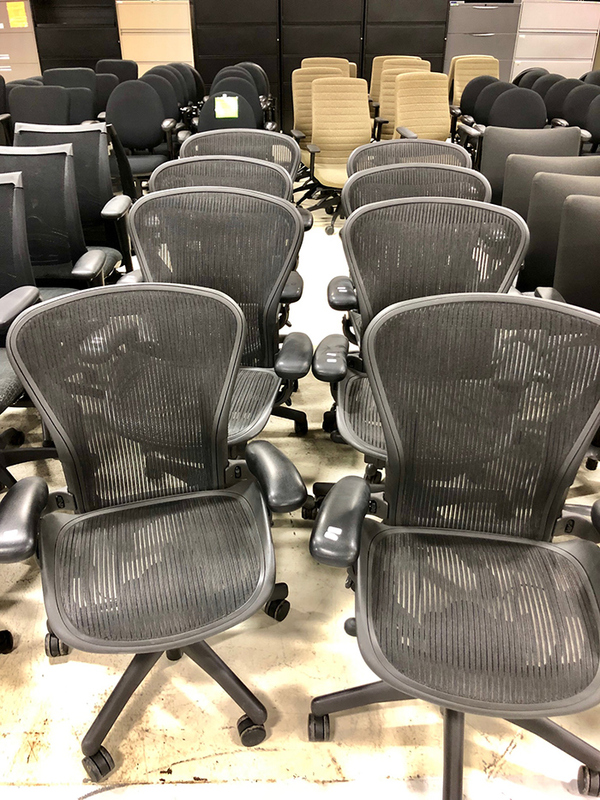 My chair: I found a group of gently used Herman Miller Aeron Chairs, all retailing for $550. Still a little steep. Then I found another 50 percent off grouping of about 50 chairs and I proceeded to sit in almost all of them. I still haven’t pull the trigger on my chair purchase, because I’m now paralyzed by the sheer volume of choices. Can I really pay $550 for a chair? 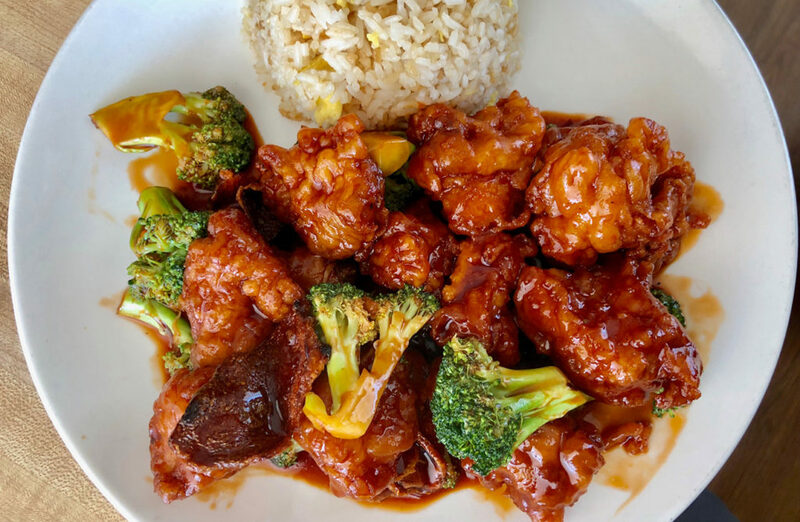 My brain says no, but my back says yes. We’ll see.